For those fortunate enough to be making their way to Paso Robles, California next weekend to attend the 7th annual Firestone Walker Invitational Beer Fest (FWIBF) you are sure in for a treat. 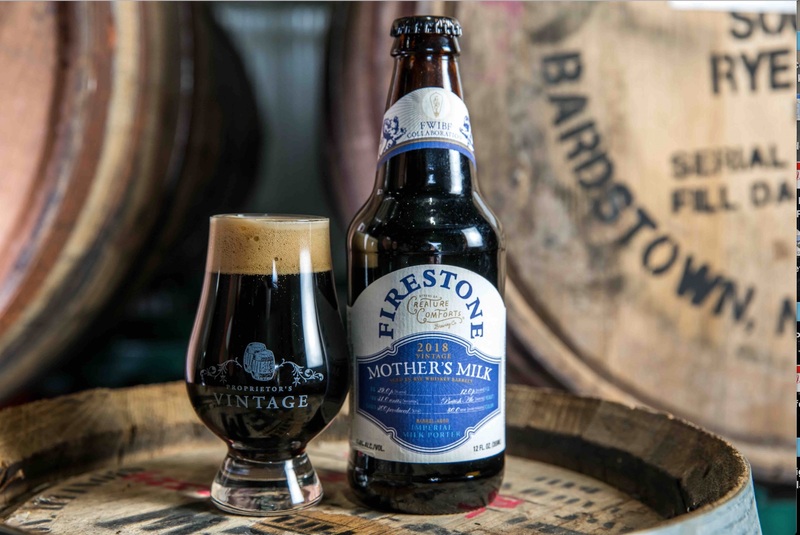 Firestone Walker Brewing collaborated with Creature Comforts Brewing on the festival’s collaboration beer, Mother’s Milk, a barrel-aged imperial milk porter. This collaboration began a few years back when Firestone Walker brewer Evan Partridge, now R&D Head Brewer at Firestone Walker – Propagator, visited Creature Comforts in his home state of Georgia. This brewery friendship then became a bit more solidified when the Athens, GA brewery attended the FWIBF for the first time in 2016. Then last year the plan to brew a barrel-aged beer with Creature Comforts became a reality when Firestone Walker’s Brewmaster Matt Brynildson invited Creature Comforts’ Brewmaster Adam Beauchamp and Head Brewer David Stein to collaborate with. “This beer is a great example of what happens when you combine forces with a young innovative brewery, 2,000 miles away, and plug their ideas into our well established barrel program,” said Brynildson in a statement. Mother’s Milk was aged for nearly 12 months in rye whiskey barrels. The base beer was made with five malts – Two-Row, Munich, Chocolate, Franco-Belges Kiln Coffee, and Crystal 45 along with oats, lactose (milk) sugar and a dash of sea salt. Rye whiskey barrels were specifically chosen to balance the sweeter tones of the milk porter with a spicy bitter quality. The end result is a 11.6% ABV barrel-aged beer. 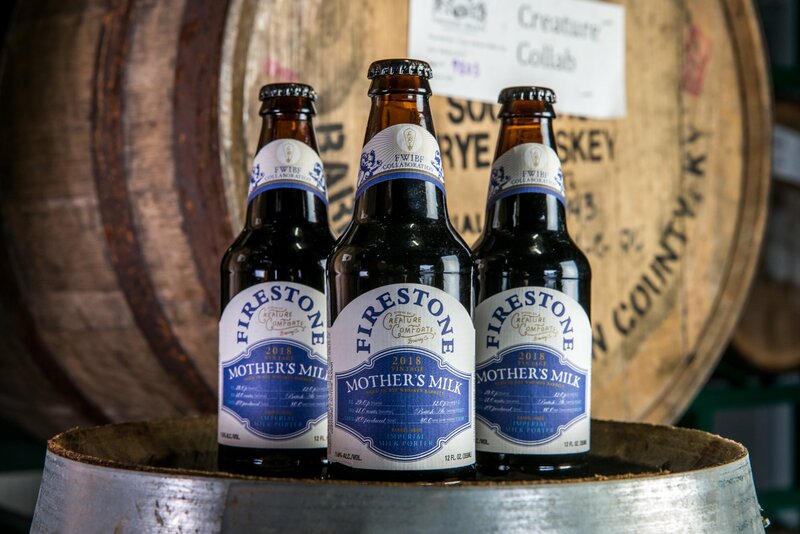 Mother’s Milk will be served to each attendee of the 2018 FWIBF on Saturday, June 2nd and will also be available for sale in 12 ounce bottles the same day at all Firestone Walker locations for $10.99 each. This beer is very limited as only 300 cases (12 x 12-oz bottles) of Mother’s Milk was produced. 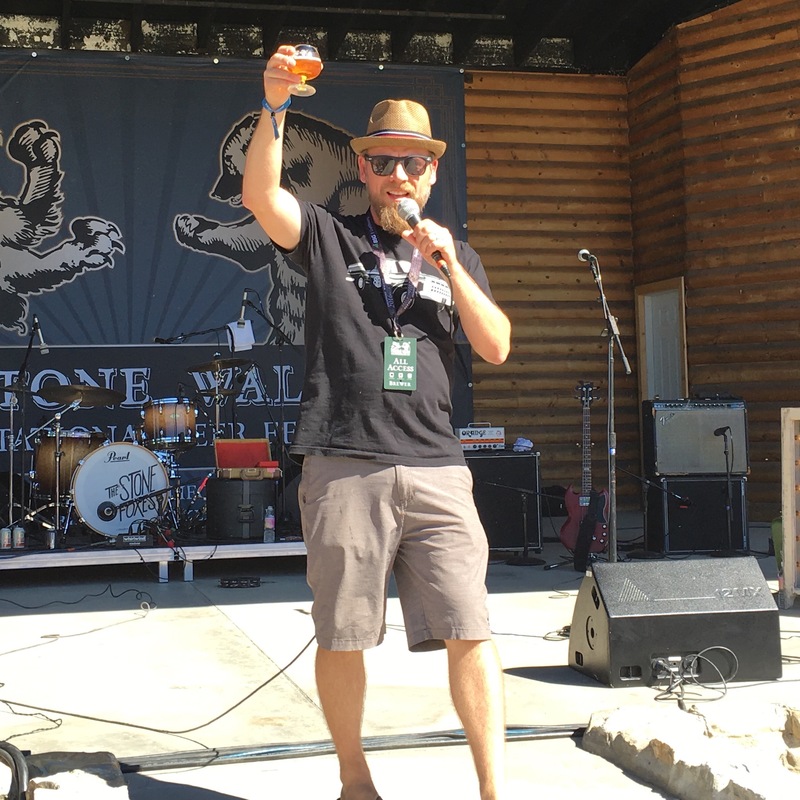 Firestone Walker Brewmaster Matt Brynildson giving thanks to the crowd during the 2016 Firestone Walker Invitational Beer Fest. For those attending the 7th annual FWIBF, here is a rundown of the advance list of breweries and beers pouring at this coveted beer festival.